A ballet company is a living organism made up of a number of factors: history, culture, economics and also an element of fate. This is particularly true of the Mariinsky Ballet of St Petersburg which, for better or for worse, has been significantly affected by all of these factors. The company had a glorious beginning, in the nineteenth century, under the generous patronage of the Tsars, who for personal pleasure made the ballet company the best in Europe. 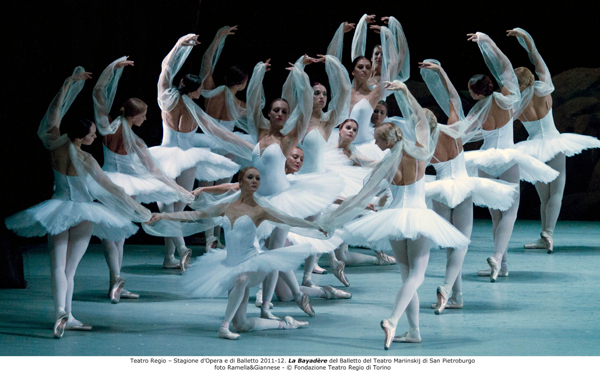 The credit for this should mainly be given to Marius Petipa, the French maître de ballet who for half a century took the destiny of the Imperial Theatres in hand, establishing the style of Russian ballet and creating masterpieces like The Sleeping Beauty, Swan Lake, Don Quixote and La Bayadère. At the turn of the 20th century, the talented dancers who in the succeeding years would leave Russia for Europe with the marvellous adventure that was the Ballets Russes of Diaghilev – the choreographer Mikhail Fokin, the dancers Vaslav Nijinsky and Tamara Karsavina, avant-garde painters and musicians – sowed the seeds that had not taken root in the theatres of St Petersburg which were soon to lose their imperial status. The bloody revolution of the Bolsheviks changed the name of the Mariinsky to GATOB, but above all the audience changed radically, In the gilded wooden halls with the turquoise velvet that was allowed to fade into disrepair, aristocrats en grand toilette and government officials in their glistening uniforms, had been replaced by ordinary Russians wrapped up in their wretched overcoats. By some miracle, the new directors of the people’s art did not ban Petipa’s ballets for having been the amusement of the aristocracy, but nor did they refrain from criticising the more innovative works of the “silver years”, accusing them of formalism. Performances that were often just one-offs were created by brilliant choreographers like: Fyodor Lopukhov and Kasyan Goleizovsky and thus the best of the avant-garde had all too brief a life. When in 1935 the theatre was renamed Kirov (after the Bolshevik revolutionary who Stalin had killed), the Socialist Realism style was already established despite the indisputable talent of choreographers such as: Vasily Vainonen, Rostislav Zakharov and Leonid Lavrovsky. For decades, the company was directed by the dancer Konstantin Sergeyev, who despite managing to maintain its prestige, could do nothing against the departure of the company’s best dancers such as Marina Semyonova and Galina Ulanova – who were “invited” by the powers that be to move to the Bolshoi in Moscow. After the end of the Great Patriotic War (WWII for the Russians), the limelight turned on public and theatrical life in Moscow which demanded the best dancers for the theatre that represented the Soviet Union, while Leningrad, a city with an imperial past, was almost abandoned to its fate. In the years of the Cold War, the great dancers continued to leave the country. The Kirov lost the best dancers of the century, who had all studied at the legendary Vaganova Academy, the school which from the time of the Tsars, trained dancers for the ballet company of the “City on the Neva” and which still today is synonymous with the purity of the Russian style. The departure of Rudolf Nureyev, Natalia Makarova and Mikhail Baryshnikov left a terrible void that was quickly filled by the authorities by the imposition of oblivion. Fortunately, under the direction of Oleg Vinogradov, between the end of the 70s and the 90s, the company saw the creation of a new generation of stars, the likes of which are an uncommon occurrence. Their presence meant that the Kirov could once again impose itself on the international scene. At the end of Vinogradov’s era, brought to a brusque end as became common after the collapse of the USSR, the dancer Makhar Vaziev took charge and in his twelve years at the helm he could boast that he kept the company at the centre of international attention, thanks to both the discovery of young talented dancers, who are now international stars – above all Svetlana Zakharova – and the beginnings of the trend of recreating Petipa’s great ballets that had become so popular internationally. Now that Yuri Fateyev has been in the position of Deputy Director for two years, one can begin to evaluate the state of the company in this first part of the new millennium, an evaluation that once again will depend on a variety of factors. Unfortunately, Moscow has once again begun to concentrate on the power of the new Russia, the Bolshoi Theatre, that has just been restored, has once again become its official stage which means that the “House of Petipa” (“dom Petipa”, as the Mariinsky Theatre is called in Russian) looks once again set to move into the shadows. The situation will only be exacerbated by a controversial restoration of the theatre, which has been put off for years, and was the subject of an international competition that was later cancelled – the theatre will remain closed for who knows how long. There is also another reason why ballet might begin to lose favour – historically the main attraction at the Mariinsky – and that is the recent predominance of opera and symphonic concerts that is the result of the artistic direction of the very powerful conductor, Valery Gergev. The vitality of the company depends as it always has on its own dance school, the Vaganova Academy: an invaluable resource, which has seen both successful and less successful years. Added to all this, the profession of dancer in capitalist Russia is no longer so respected because unlike during the Soviet era, the salaries of the artists are low and they no longer have their special privileges. For this reason, the historic Academy no longer sees as many potential students as it used to, and they are now predominantly Russian citizens as it is no longer possible to offer free tuition to promising children from the former Soviet republics. To make matters worse, once a dancer has joined the company, the siren call from other companies for the best dancers becomes insistent. A few years ago, the Mariinsky Theatre and the city of St Petersburg, were left in shock when their precious ballerina Svetlana Zakharova, suddenly moved to the more “visible” stage of the Bolshoi Theatre in Moscow. Last season it was the turn of Leonid Sarafanov, the Ukrainian virtuoso that the Mariinsky had trained; he moved to the Mikhailovsky Theatre in St Petersburg, which for many is a secondary theatre company, but for many artists is interesting for its contemporary repertory – or more probably for the generous cachet offered by its patron. Without listing all of the brilliant dancers who have left the company for the West, even though Russian artists are completely free to appear as “guest” dancers anywhere in the world, it is clear that the temptation to move to Europe or the United States is still strong. Despite all the defections, the Mariinsky Ballet company can still count on a large number of excellent dancers, some of whom are genuinely outstanding by international standards. Particularly amongst the ballerinas, Uliana Lopatkina, a much loved dancer with a strong character, and those ballerinas who trained under the previous director, are all equally outstanding: such as the virtuoso Viktoria Tereshkina, the beautiful and proud Alina Somova, the technically delightful Olesia Novikova and the sweet and romantic Evgenia Obratzova. Unfortunately the male dancers are less rich in talent: the danseurs nobles of previous decades are nearing retirement and after the departure of Sarafanov, the only one who can hold his own on the international stage is the young and sturdy Vladimir Sklyarov. Of the soloists and chorus leaders, there is some promising young talent, by necessity taken from other companies and thus without the Vaganova pedigree and the corps de ballet, above all the women, has rarely been so synchronised and precise, as if they were sharing a single breath. One can see from the ever more numerous international tours, that apart from adding prestige to the company, they must represent significant revenue for the theatre. 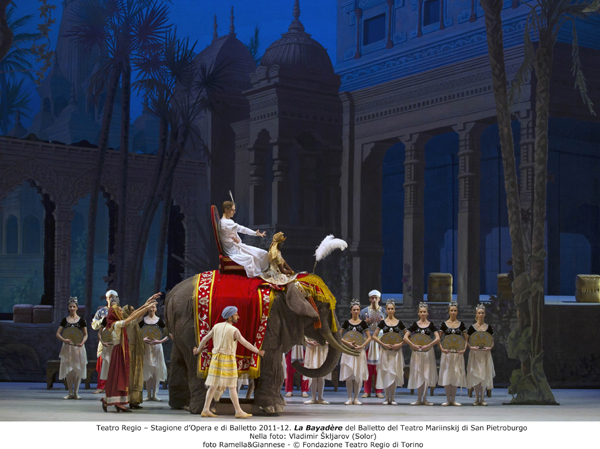 The tour schedule is frenetic, between October and December, the company spent 20 days at the Teatro Regio in Turin, to great acclaim with sold out performances for the “Fokin Evening”, La Bayadère and Swan Lake. Spain too has benefited from an exchange year with Russia,; at the Teatro Liceu in Barcelona with Le Corsaire and soon at the Palau de les Arts in Valencia with Romeo e Juliet. 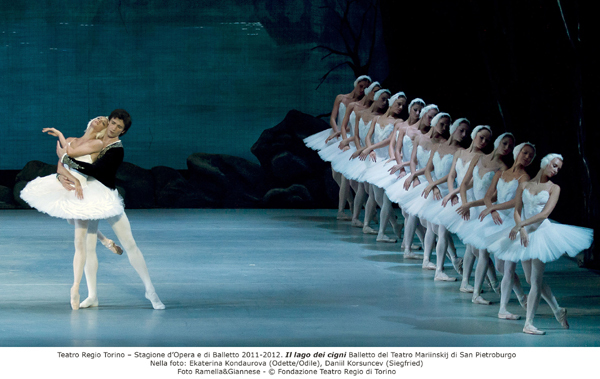 The company ends the year with their traditional Christmas performances in Germany at the Festspielhaus in Baden-Baden, performing : Swan Lake, Anna Karenina, Don Quixote and a Gala. The shows performed, both in St Petersburg and on tour, make clear the latest artistic style of the company: if there are no major plans on the horizon it is best concentrate on quality and tradition. So, emphasis is once again on the classics, derived from Petipa’s versions, but in the Soviet era style. The librettos, the music and few pas de deux are strictly originals but not much else. These are productions that, even if they are now somewhat distant from the original, have their own intrinsic artistic value, because they document the natural development of a ballet over the decades, as well as being much loved by the public. The current management prefers these performances to the massive reconstructions of Petipa’s original ballets that were a favourite with the former director, Vaziev: The Sleeping Beauty, La Bayadère, The Awakening of Flora, which are currently being overlooked. A choice that goes against current trends, of Moscow’s Bolshoi and the other great Western theatres. The Mariinsky Theatre has been regularly performing a selection of works from the Soviet era: Romeo and Juliet, The Legend of Love and The Fountain of Bakhchisarai among others and has recently re-performed two lost works: Spartacus and Shurale by Leonid Jacobson. These are the first steps towards rediscovering Soviet choreography and it will not be long before this style finds its rightful place in the pantheon. The works of George Balanchine are still a fixed point in the repertory, performances that the company executes impeccably, with the Petersburg style which would have pleased the (naturalised) American choreographer who was originally from St Petersburg. The company performs few modern and contemporary works by European choreographers but this does not seem like such an illogical decision unless you want every ballet company to be performing the same repertory. There is no sign of any talented Russian choreographers on the horizon, apart from Alexei Ratmansky, who has already carved out an international career for himself. He was the author of the company’s Anna Karenina. There are those that say that the Mariinsky is now merely a “museum piece”. But given that it is the vivacity of this “living organism” that keeps the ballet repertory contemporary, is it not the classics that the world public wants to see from the company which created and developed Russian ballet? Valentina Bonelli is a journalist and dance critic who writes for a variety of titles such as Vogue Italia and L’Uomo Vogue and the magazines Tuttodanza and Dans. She is the author of presentations and essays for Italy’s major theatres and dance festivals. She translated into Italian and edited “le Memorie di Marius Petipa”, Gremese editore 2010.